With proper care and maintenance, your carpet should last for years. How many years? That depends on the wear and tear on your carpet but you'll want replace most carpets in 10-15 years for best indoor air quality. Over time dust and dirt settles in beneath the carpet padding that you can't remove with a vacuum. So if you have indoor allergies, that time frame may be shorter. Replacing carpets regularly makes sense. You're walking on it, running on it, playing on it, spilling on it, moving furniture around on it... carpet takes a real beating. Sometimes it gives clear signs of when it should be replaced. Other times, you have to look a little deeper. If you're seeing any of the following signs, it's time to visit Kermans and shop for new carpet. 1. Visible stains. You know that any stain should be cleaned promptly but over time the stain-resistant finish on your carpet wears off. And some stains - pet urine or vomit or other biological substances - soak into the carpet padding where you can't get them out. Those stains can cause mold or mildew to grow under the carpet itself. If you have multiple stains on your carpet - or stains that seem to come back time after time (because they've soaked into the padding) - it's time to replace your carpet. 2. Wear and tear. If you have a visible rip or tear in your carpet - it's most likely time for it to be replaced. Smaller tears can sometimes be repaired but larger rips or holes are beyond help. If you don't see any tears in the carpet, how much wear is too much? When the carpet fibers are permanently matted down or when you have traffic patterns that have worn the carpet thin in some areas compared to others - it's time to replace your carpet. 3. Smells. Remember those spills we mentioned earlier that can soak into your carpet padding? Sometimes they start to smell and there's no covering up those odors. 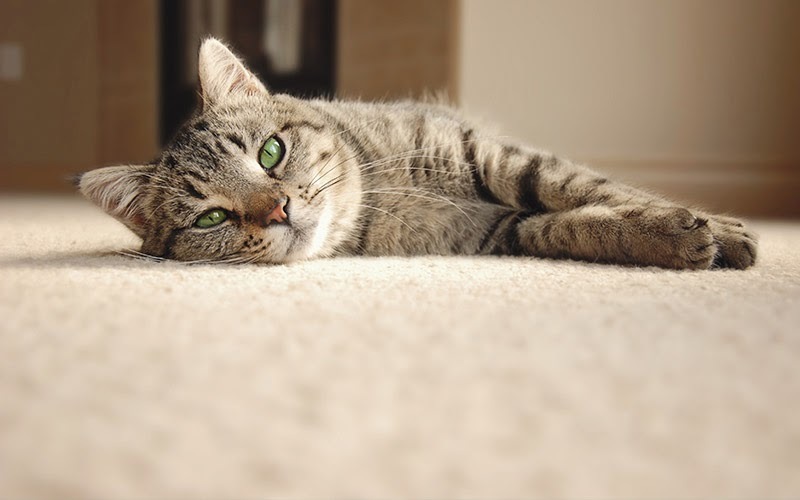 If your carpet smells - there's an underlying problem that needs to be addressed. Stinky carpet means it's time for a replacement. 4. Quality of padding. The padding is the foundation of your carpet. 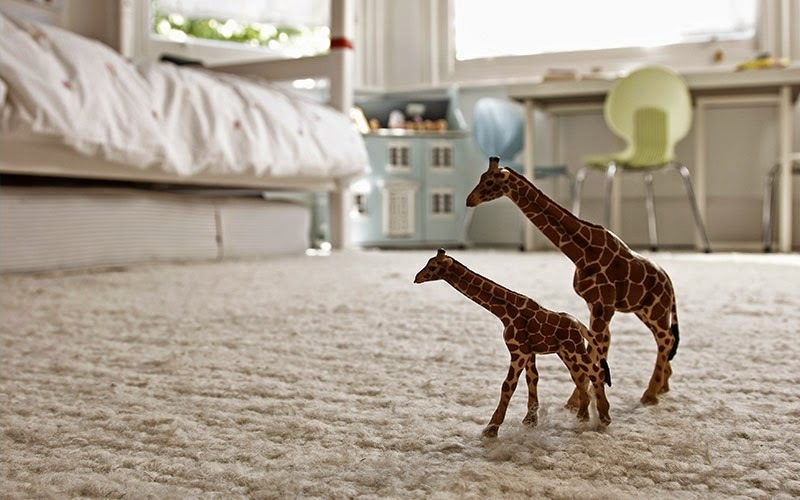 It doesn't just make it feel better underfoot, it literally helps your carpet last longer. Carpet padding also acts as a sound and temperature insulator in the room. You may not see it but your carpet padding is very important. When the padding itself starts to break down you'll see wrinkles in your carpet or it will feel uneven underfoot. If that is happening in your carpet, it's time for a replacement. Whether you've worn your carpet down to it's last fibers or you're simply tired of looking at that outdated orange shag, when it's time to replace your carpet turn to Indianapolis top carpet store: Kermans Flooring. We carry a wide variety of carpets that will look beautiful in your home and are friendly to your budget. Stop by Kermans today and start shopping for your new carpet.